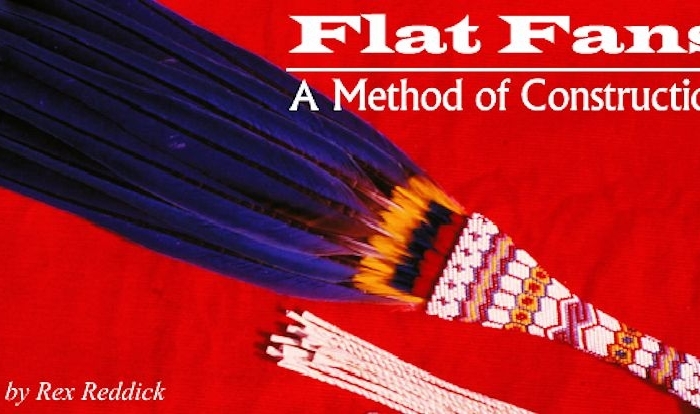 The flat fan is a favorite object that has been carried by the American Indian for many years and is found in a number of different styles over a wide region of the United States. 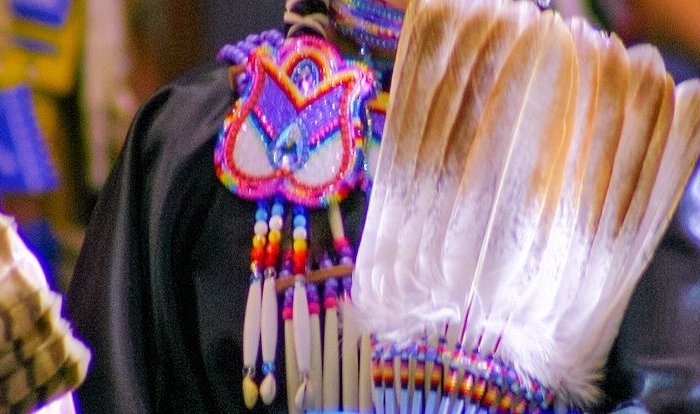 It is most commonly carried by both male and female dancers and other powwow participants, as well as being used for religious purposes. It is also a very practical item for use in cooling its owner on a hot, summer day. This style fan has gone through many refinements and reached its peak of development among the tribes of Oklahoma, the Northern Plains and the Northwest, where it is most popular today. Unfortunately, the best feathers for a fan of this type are the tail feathers of the golden eagle or one of the many varieties of hawks, which are federally protected and unavailable. For this reason, I will describe how to use readily available imitation eagle feathers to make an excellent quality fan that is a very close facsimile of the real thing. balanced in size to the feathers being used. The main feathers should be set so as to give them a completely natural look, just as the tail would appear when on the bird. Look at the photographs in this article as well as fans found in museums. The internet is an excellent tool that has opened up hundreds of museum and other websites which post photographs of some of the finest material in the country and most are quite easily accessed for research. 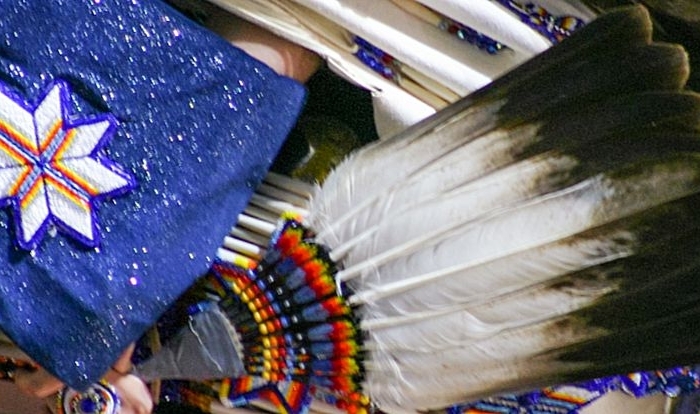 If you are using hand painted feathers which have already been matched, straightened and trimmed, normally you can skip Steps 1-3 and begin with Step 4; however, sometimes it might be necessary to do a small amount of straightening or trimming on these feathers as well. First, determine which feathers are ´lefts´ and which are ´rights´. Spread them out with the shiny sides up and you will see that each one curves naturally to the right or left. Separate them in this way, leaving the longest and straightest one for the center feather. The idea is to use an odd number of feathers; usually five to seven, but occasionally as many as eleven are used. Straighten the feathers by running the quill over an exposed light bulb as shown in Figure 1. Protect your eyes with sunglasses. Gently apply a steady pressure to the quill until it softens and begins to bend to the desired shape. Do not force it too quickly or it might crimp and be ruined. As the feather is being heated, turn it over from time to time to ensure an even distribution of heat. Also, you will probably have to over-bend it somewhat in order for it to maintain the desired shape. For a faster job, use your thumbnail to simply crimp the quill every 1″ or so.This may be necessary in addition to the heat treatment, as a combination of these two methods works quite well and slightly crimped feathers tend to retain their shape better than those that have only been heated. For a more realistic look, carefully trim the black ends of your feathers with a pair of sharp scissors. First, cut the flimsy tip off of each feather so there is about 3″ of black remaining. Next, cut these to resemble the eagle tail feathers shown in Figure 2. The desired shape is more like the tip of a butter knife than the extreme point of the turkey feather. The center feather should have about the same amount of vein on each side and be slightly more pointed than the others. Look at photos of real eagle feathers for reference.